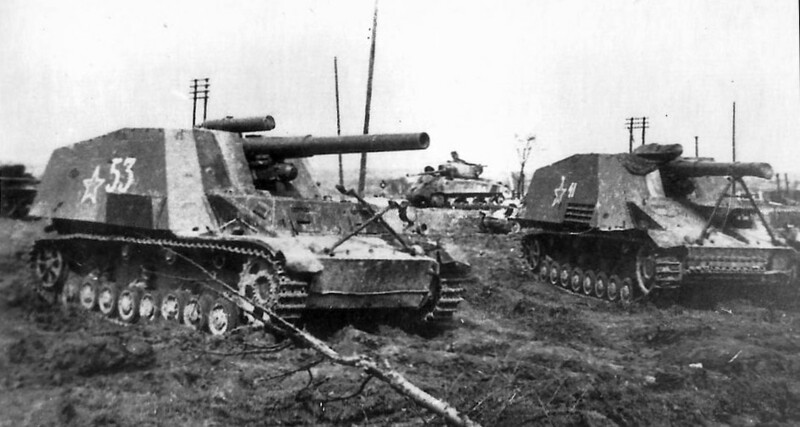 Captured Hummel SPGs in Red Army, 1945 photo. During the war, the Soviets captured many enemy armored fighting vehicles, and pressed to own service a part of them. Also, in 1943 it was decided to use big storages of German tanks to convert them to assault guns designated SU-76i ("inostrannij" = foreign). The modifications consisted of the removal of the turret and upper part of the hull in case of PzKpfwIII / PzKpfwIV and the superstructure in case of StugIII, while all other components remain unchanged. Modified vehicles were mounted with welded boxy superstructures (forward armor 35mm, side and rear armor 15-25mm) which housed 76.2mm F-34 or 76.2mm ZIS-5 tank gun and storage space for 98 rounds. 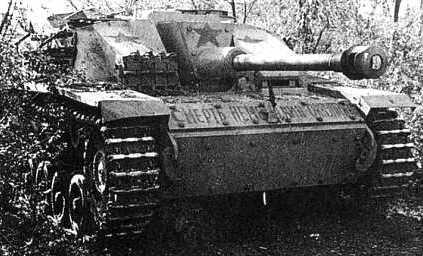 SU-76i was operated by the crew of four, who had a submachineguns and a hand grenades for local defense. 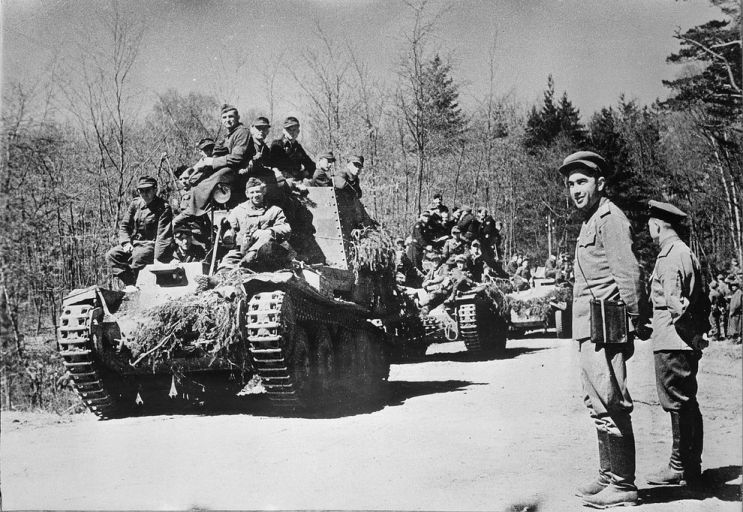 A driver used the unchanged German equipment, while other equipment was of Soviet origin. 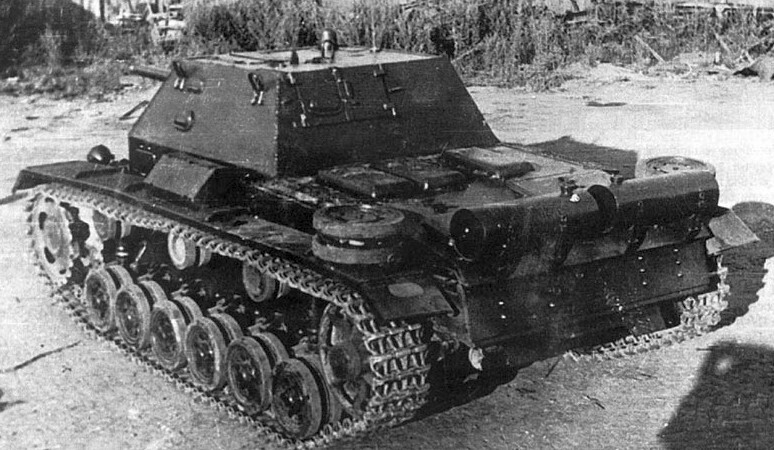 SU-76i weighted about 22t; it could travel at the maximum speed of 40km/h as the base tanks. 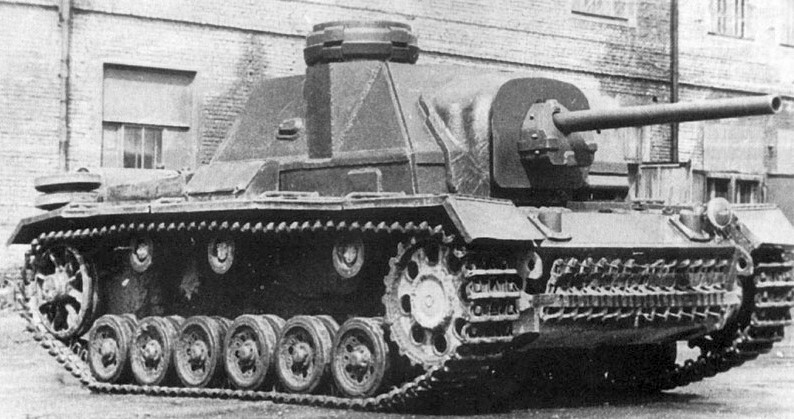 201 of such SPGs were built, including 20 command SU-76i. In Augst 1943, 1902th SAP had 15 SU-76i and five SU-76. Also, 1901st SAP and 1903rd SAP were equipped by SU-76i. 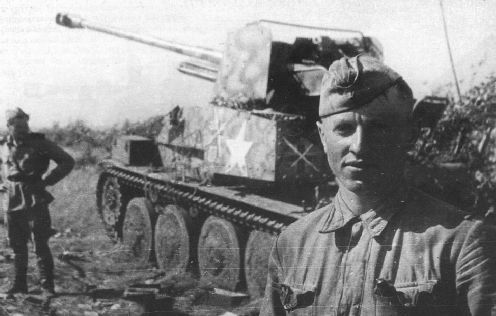 SU-76i the command SPG, wartime picture.